(Nearest tube Barbican. On exiting the tube cross the road by the traffic lights ahead, turn immediately left, and 150yards ahead turn right past the Shakespeare pub. 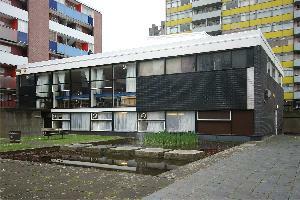 The community centre is more or less straight ahead in the centre of the estate.) Adjournments can be played at GL on Mon, Wed and Thu only. Venue opens 6.45 pm, matches start 7.00pm Play Starts at 19:00 - on Mon, Wed, and Thu only. Last date for adjournments to be played at GL for season 2014-15 will be Wed 10 June.